Hello! I'm ZM. 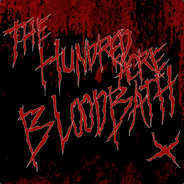 I've been a staff member of The Hundred Acre Bloodbath for just under 4 years (I actually don't know when I joined. January of 2015 I believe.) BuzzKill, the owner of THAB, has been slowly but surely leaving the servers to the staff members for themselves to deal with. There's been times where Buzz went offline from a few weeks to nearly 9 months. Today, he messaged me on Discord, wanting to hand the server off to me. We have no idea how well this is going to go, to be honest. I’ll be taking on the payment plan for the servers, I will be getting some monthly assistance from the High Council to help with the costs. Once we sort everything out we will make a pinned discussion with the link to donate to the servers if ever anybody wanted to pitch in couple dollars. Donating will not give you special perks, special privileges, or any tags nor special ranks. If you wish to donate to help me with costs to pay for the servers and potential addons you would have our gratitude as staff members, but also my sincere thanks. This has been resolved (removing the pending jukebox requests, which had grown too large). Servers are in the process of bouncing sequentially. All should be back up in the next 10 mins or so.